While I do SEO for my client base, I also educate local schools and colleges on SEO, and when I can, publish the documents online for free so anyone can use. 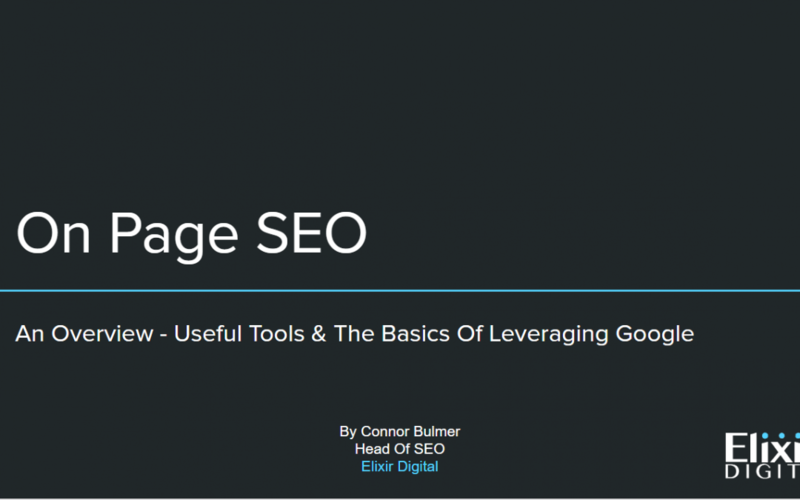 This presentation is regarding the fundamentals of on-page SEO. This presentation was built for use at Colchester Institute, and presented to people between the ages of 15 – 20 (College Students) who were studying IT Level 3, and as such the content is written in a way to suit this audience. I retain all rights to this presentation and its contents, if you are looking to use this presentation, send me an email on hello@connorbulmer.co.uk and lets see what can be agreed. If you are an educational institution, such as a school, college, or University I will happily allow you permission if you email asking, alternatively, I would also be happy to present the presentation at your institution, which can all be discussed in the email correspondence. Fiverr Backlinks: A Good Shout Or a Good Way to Get Penalised?